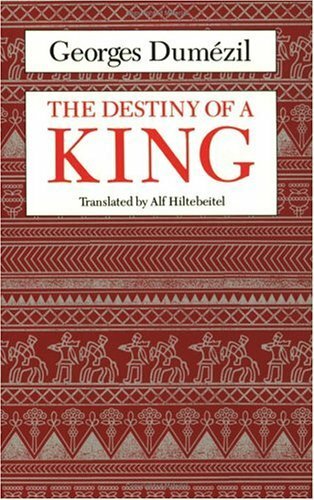 Destiny of a King examines one of the "little" epics within the Mahabharata--the legend of King Yayati, a distant ancestor of the Pandavas, the heroes of the larger epic. Dumézil compares Yayati's attributes and actions with those of the legendary Celtic king Eochaid Feidlech and also finds striking similarities in the stories surrounding the daughters of these two kings, the Indian Madhavi and the Celtic Medb. When he compares these two traditions with the "first king" legends from Iran, he finds such common themes as the apportionment of the earth and the "sin of the sovereign." idea is that Indo-European peoples share a "tripartite ideology"; they tend to think in specific groups of three. Dumezil postulated that initially Indo-European society was arranged hierarchically into three distinct groups: priests, warriors, and herder-cultivators. Corresponding to each group was a specific function: sovereignty, physical (primarily military) prowess, and sustenance. Furthermore, each group was represented collectively by gods and goddesses who shared its function. The hierarchical division of society has been preserved only in India (the upper three varnas, or classes), but its effects are widespread in the mythologies and religions of Indo-European peoples, and occasionally, as at Rome, in their accounts of their histories as well. Some scholars have always disputed Dumezil's theories. The most notable, recent critic has been British archaeological theorist Colin Renfrew. In the last few years, Dumezil, like many of his generation, has also been criticized for his politics.